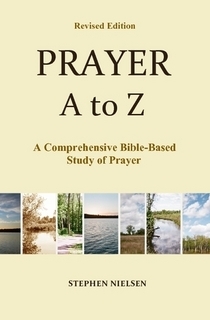 Here are three possible reasons why your prayers aren’t answered–from my e-book Prayer A to Z. 1. You really aren’t abiding in Jesus and His Word as you think you are. A good test of whether you are abiding or not is whether you bear fruit. Jesus said, “He who abides in Me, and I in him bears much fruit (Jn. 15:5). Fruit is that evidence that you are a Christian—a true Christian that abides in Christ and grows to be like Him. Are you becoming like Christ? Do you love others as He did? Do you reach out to others and share the love of God with them? Do you have the faith that Jesus had? When you pray do you expect God to answer you? If you can’t say yes to any of these questions I suggest that you go back and read again those pages in group #2. 2. Your prayers are not according to the will of God. If your prayers are not according to God’s will, that is, if they don’t line up with scripture and if God is not pleased with them, He will reject them. Likewise, if your prayers are selfish, for your own pleasure, then you are not abiding and God won’t answer them (Ja. 4:3-7). If you want God to listen to your prayers, your motives in prayer must be to bring glory to God and to advance His kingdom. Therefore, when you pray, you should always have in the back of your mind (as a reason for your prayer) that you want to please God, to advance His kingdom, to help yourself and others grow in Christ and to bear His fruit. If these are not the motives of your prayers then this could be the reason why your prayers are not being answered. 3. You have the wrong idea of what prayer is. If you think that prayer is just a matter of asking and that answers to prayer are always immediate, that’s the wrong idea of what prayer is. The very nature of prayer means to wait on God. Yes, prayer is asking for things, and sometimes God answers immediately. But usually not. Most of the time prayer demands our patience, persistence, and earnestness. Prayer is like a wrestling match, or a battle. Sometimes the battle of prayer is short, sometimes long—depending on the strength of the enemy and our own faith and determination. But I maintain that if we are praying according to the will of God and we are abiding in Him, our prayers will be answered, but in His time. God has His own reasons why answers are sometimes longer than we expect. Sometimes it is to build our own faith and our desire for Him. This entry was posted in Answers to Prayer, Prayer A to Z Excerpts and tagged Abiding in Christ, answers to prayer, bear fruit, James 4:3-7, John 15:5, prayer, unanswered prayer, will of God. Bookmark the permalink. thanks for your cemomnts – so great to hear that those who have suffered have felt that prayer has made a difference.